Sea turtles are among the most ancient species on this planet. Today there are seven species of sea turtle remaining, that date back 110 million years, back to the age of the dinosaurs. 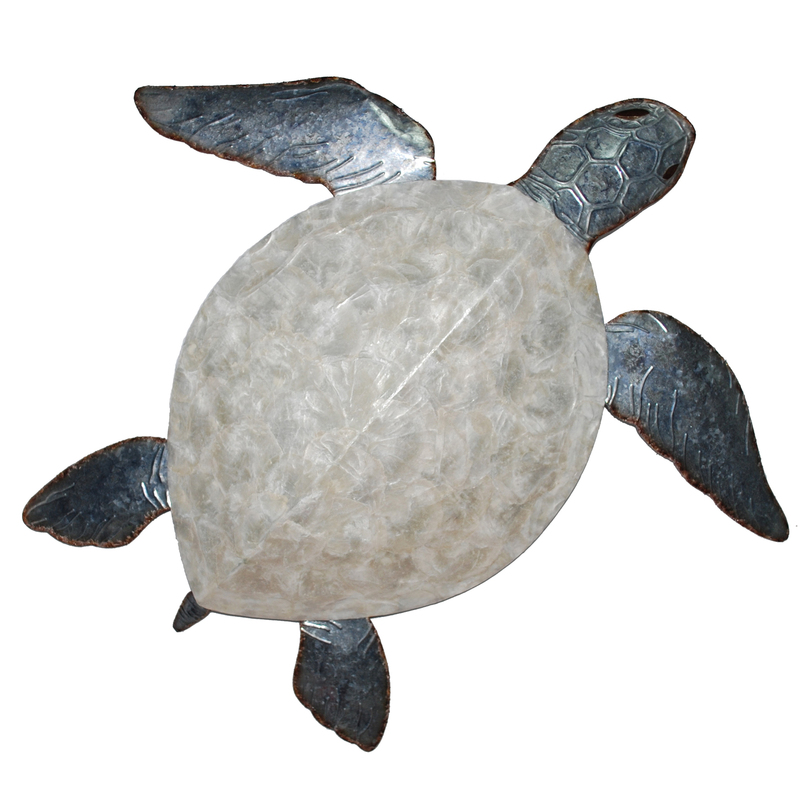 This piece features the Loggerhead turtle, one of the most recognizable of all the sea turtles that remain. The sea turtle is known for its scaled skin, which the artist carefully etched into the metal of the turtle�s head and limbs. Looking down the shell of the turtle glistens which the artist recreated using capiz shell. The focus of this awe-inspiring piece is the texture and size of sea turtles, so the artist used contrasting colors to underscore this fact.